KU football reputedly runs a big accounting surplus, despite fielding hapless losers most years. KU Football spends far less per football player than does KU BASKETBALL on its players. Is it time for KU to turn its basketball program into a hapless loser and spend far less per hoops player, so it has more accounting surplus to give to minor sports, too? Hell no man!! Your bonkers!! KU Basketball needs to keep going strong like it is. Its not broken, its a goddamm power house. I could give to F*cks about football in general. 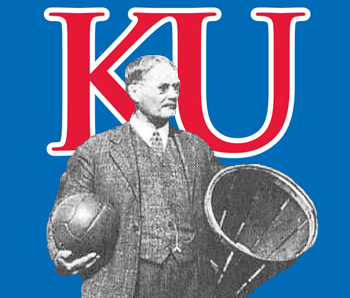 I love basketball and id be heartbroken if KU trashed its basketball program for better accounting surplus’s. Im betting the higher ups, like the Glass family and Allen family wouldn’t be too happy either. So you want basketball to operate at about 50%-60% of its earning potential like football does? KU Football seems to indicate cutting costs to the bone makes a not for profit sport very profitable, er, surplus-able with effectively no significant risk from not winning big. No one has to cheat, or do any of the questionable stuff to field a losing team. It’s just pure surplus with no risk. Look at KU Basketball. It’s reputedly under investigation by FBI/DOJ. The coach and players are under incredible pressure to win rings. Self is taking chances on guys like Selby, Alexander, Diallo, Preston and now DaSousa. What will happen if KU BASKETBALLgets caught cheating while harnessed to this huge overhead? What if Self infarcts from the pressure? What if some bad guys insinuate themselves into KUAD and run another scalpinggate with basketball involvement? What if the program suddenly stops winning and the overhead can’t be covered? In KU football they can lose for eternity and the big surplus keeps rolling in because they have cut costs to the none. But basketball HAS to win or else! People want to ramp KU FOOTBALL up because they are worried about it generating only 50% capacity on revenue. BUT if it’s all about the money, then it’s better in a not for profit to minimize risk and never have to worry about losing and deficits that threaten the minor sports. How important is winning? Is it important enough to jeopardize funding for the minor sports? Is it important enough to risk insolvency and corruption?